Applications are invited for Weizmann – CNRS (Centre National de la Recherche Scientifique) Collaboration Program. It’s a joint call for proposals between the two institutes in order to develop cooperation in new promising themes. The French CNRS is a public basic research organisation that defines its mission as producing knowledge and making it available to society. 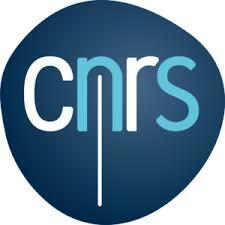 The CNRS is the major French Research Institution with 26 000 permanent staff (40% full time researchers) about 1300 laboratories (82, 5 % of them being joint units with Universities, other research institutions, and private companies), publishing more than 20 000 publications in peer reviewed journals per year. It covers all fields of science, and mainly develops science driven research. It is under the supervision of the French Ministry of Education, higher Education and Research. Course Level: Fellowship is available to pursue PhD programme. Study Subject: This call is open to all research areas. All disciplines covered both by CNRS & WIS. Scholarship Award: The joint call is intended to fund 3 years of a PhD fellowship and travel. The amount of a PhD fellowship will be funded. Additional funds will cover mobility costs for visits to France & Israel for the PI and the PhD student (up to 5 000 € per institution per year). Nationality: Fellowships are available for international students. Number of Scholarships: Five Feinberg students are expected to be funded by the WIS, and five CNRS students are expected to be funded by CNRS. Eligible Countries: Fellowships are available for international students. A PI cannot submit more than one application in the framework of this call. Applicants should submit in electronic format (Microsoft Word or Adobe PDF) via email to the RGP (yael.karhash-at-weizmann.ac.il); CNRS applicants should submit the same file via the dedicated Website: https://www.cooperation.cnrs.fr. PART A: Title Page Title of the proposal, names of the principal investigators and their laboratories, their addresses, telephone, and e-mail. The names of the PhD students can be given if they are already known. Please specify on the Title Page of the application “This application is submitted for consideration within the Weizmann – CNRS Collaboration Program”. PART B: Description of the scientific project State of the art of the research area, description of the scientific project and its interest, historical context of application (if applicable), quality and originality of the project, objectives, scientific methodology, expected results and their meaning, future perspectives. Explain the added value of the PhD fellowships in the project. Explain the relation between the project and the research themes of the laboratory. PART C: Added-value of the international cooperation Describe the added-value of the international cooperation to fulfill the aims of the project (explain why the project cannot be carried out at a national level only). Describe the expected benefits for the French and Israeli teams. Describe the balance between the contributions of the French and Israeli teams. PART D: Planned activities describe the planned activities in the framework of the project and provide a timetable. Explain how these activities will help achieve the aims of the project. PART E : Budget Proposed budget including a breakdown of the division of funds, separated into distinct budgets for WIS and CNRS, approved by the WIS Finance division. The budget section regarding travel should contain explicit line items for travel of the PhD student. PART I: Ethics Does the project raise ethical questions? If yes, please describe them and how they are dealt with.